We are delighted to announce that Tales from the Red & Whites is now available to download on Kindle! 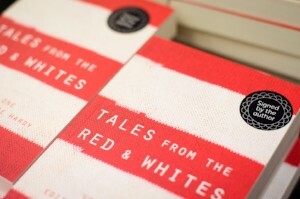 To find out what Tales from the Red & Whites includes, please click here. This is a brand new move for Tales from the Red & Whites and now there's no need to worry about your favourite book taking your luggage over the weight limit, as you venture off on your summer holidays! To download Tales from the Red & Whites on Kindle, click here.